Bronchitis is an inflammation of the airways in the lungs. The main tubes that air flows through in the lungs are called bronchi, and branching off them are smaller tubes called bronchioles. 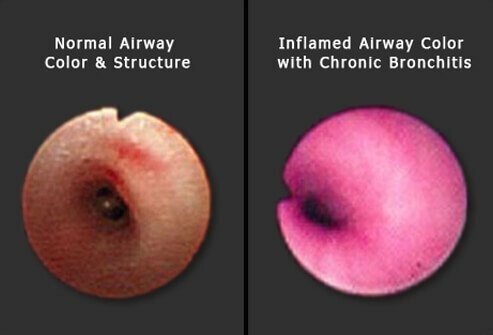 When these tubes become inflamed it causes narrowing, constriction, and blockage of the airways, which leads to symptoms of bronchitis. Bronchitis can be acute, lasting less than six weeks, or chronic, recurring multiple times for more than two years. Acute bronchitis is a form of the illness that starts suddenly and resolves itself after just a few weeks. 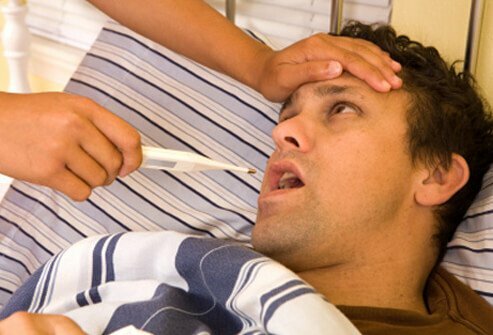 Symptoms of acute bronchitis include hacking cough and production of mucus (phlegm). It is usually brought on by a viral (90%) or bacterial illness in the upper respiratory tract. While the symptoms can be bothersome, acute bronchitis in otherwise healthy people is rarely severe. 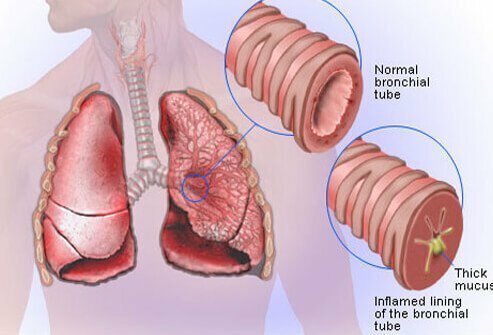 Chronic bronchitis is a recurrent disorder where there is chronic inflammation, swelling, and narrowing of the airways. It is defined as a cough with production of mucus (sputum) for at least a 3-month period, for two years in a row. 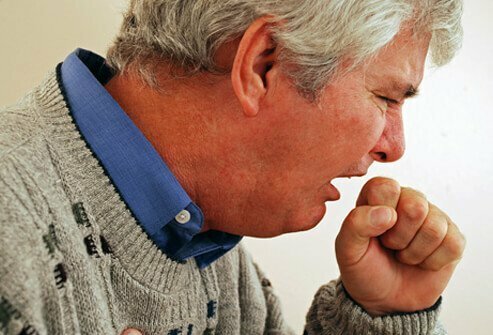 Chronic bronchitis is usually the result of lung damage from chronic medical disorders or smoking. 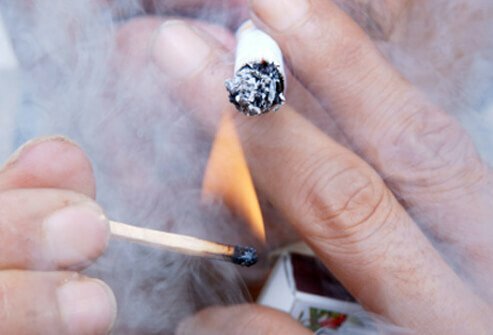 Smoking is a major irritant to the lungs, and it causes damage on the cellular level. This damage to the lung tissue, especially the cilia (cells in the lung lining that help clear out debris and mucus), causes the lung tissue to be more susceptible to acute bronchitis. Smokers also eventually cause so much damage to their lungs they can get chronic bronchitis and COPD (chronic obstructive pulmonary disease). 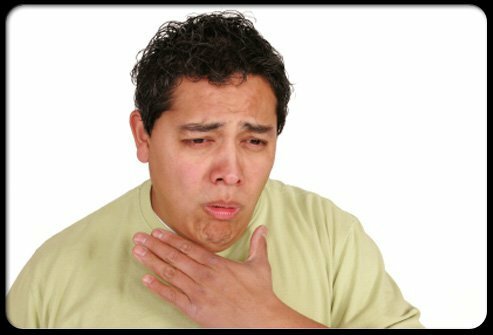 Acute bronchitis is caused by upper respiratory viral infections in 90% of cases; the other 10% of cases are caused by bacterial infections. Chronic bronchitis is caused by repeated inflammation of the lung tissues. 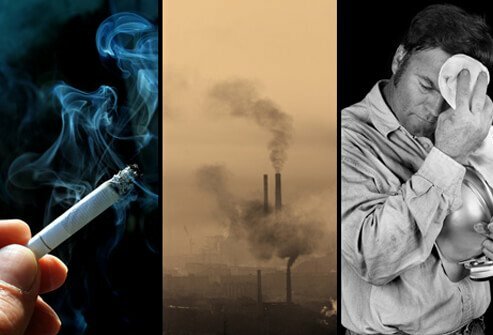 People at highest risk for chronic bronchitis are those who have occupational exposure to lung irritants (such as coal miners, construction workers, metal workers, etc. ), and smokers. High levels of air pollution can also contribute to developing chronic bronchitis. There are many symptoms of bronchitis that can often be painful and uncomfortable. If bronchitis is suspected, you may need to seek professional medical attention. If symptoms of bronchitis are not severe, you may be able to effectively treat it with home remedies. Bronchitis is generally diagnosed by a doctor taking a medical history and performing a physical exam. Usually no additional tests are needed. 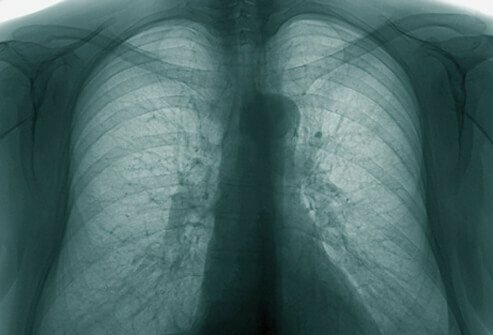 In more severe cases of bronchitis, or in cases of chronic bronchitis, a chest X-ray, blood tests, or pulmonary function testing may be needed. 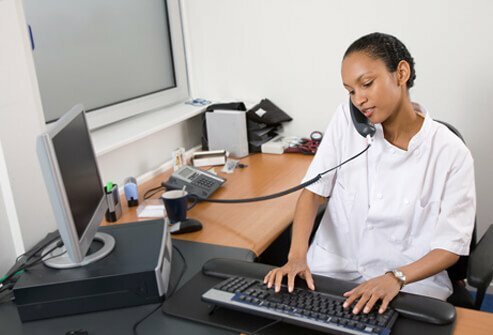 Treatment for bronchitis usually includes home remedies discussed such as drinking plenty of fluids, quitting smoking, getting plenty of rest, and taking over-the-counter fever reducers. Over-the-counter cough medications are rarely useful and in some young children may be harmful.Antibiotics are rarely prescribed because most cases of bronchitis are caused by viruses, which do not respond to antibiotics.If symptoms are severe enough to see a doctor, patients may be prescribed medications. There are several ways to help keep chronic bronchitis at bay. 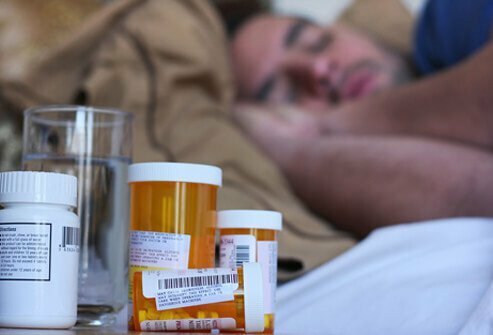 Because chronic bronchitis makes the lungs more susceptible to bacterial infections, doctors may prescribe antibiotics to treat these secondary infections. 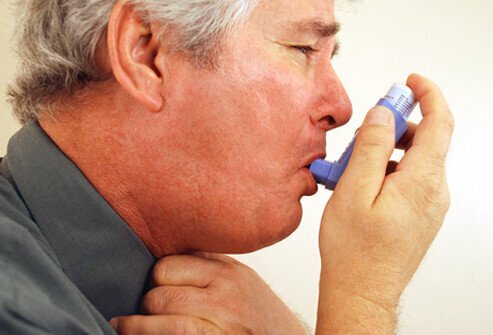 The treatment for COPD (chronic obstructive pulmonary disease) is similar to that for chronic bronchitis: inhaled bronchodilators, inhaled or oral steroids, supplemental oxygen, annual flu vaccinations, and pneumococcal vaccinations. 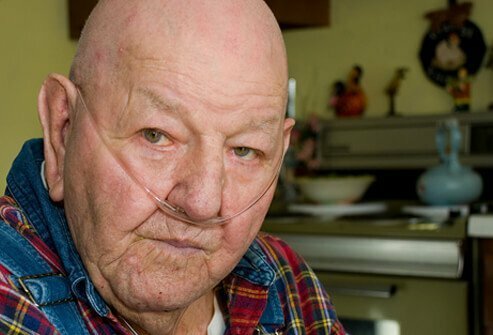 The most important thing patients with COPD can do is stop smoking. How Can I Avoid Getting Bronchitis? The most important thing a person can do to reduce the risk of getting bronchitis is to not smoke and to avoid second-hand smoke. 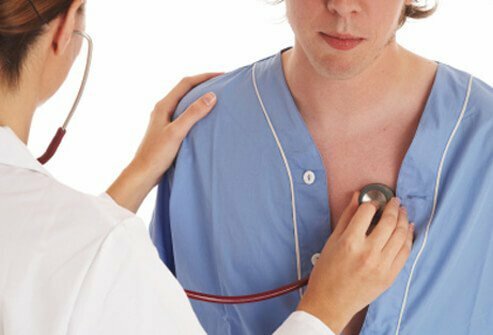 National Heart, Lung, and Blood Institute: "What Is Bronchitis?" UpToDate: "Acute Bronchitis in Adults"